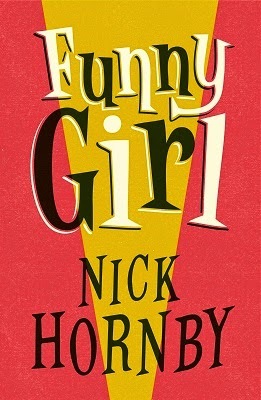 Last week I got to cross another name off my mental list of authors I’d really like to meet someday: I went to see Nick Hornby talk about his new novel, Funny Girl, and also be smart, funny and insightful about writing and reading and TV and pop culture. Nick Hornby’s work is really important to me, and the event reminded me of all the reasons why. 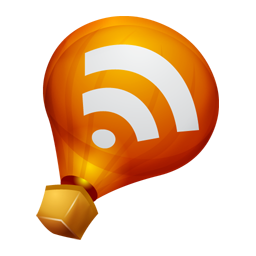 I can’t think of a person who’s had a greater influence on what I try to do on this blog (I’ve had, after all, a quote of his in my “About” section pretty much from the start). It’s not that my writing style is anything like his — he does monthly Believer columns that interweave his thoughts on the several books he read with personal details, and which are perhaps best described as bookish personal essays; I mostly write about one book at a time, and don’t have the writing chops for a more personal approach (or at least I haven’t managed to make it work so far). However, the principles behind what he does have hugely shaped my approach to writing about books. The point of departure of his criticism, the assumptions he questions, the reading myths he won’t buy into: these are all things that have influenced me, both in blogging and in my library work. Most of all, the humane, inclusive and welcoming nature of his criticism is something I strive for every single time I sit down to write. Funny Girl is a historical novel set 1964 about “the birth, life and death” of a 60s sitcom, and the main characters are a team of writers and actors involved in its creation (there was a lot of TV chatter at the event that I think would have made Amy happy, but we’ll get to that soon). Hornby said that one of the reasons why he wrote it is that he’s become very interested in team creative work, partially due to his experience of working in movies: he wanted to capture the “amazing joy” of collaborative work, the magic that happens when everything goes right and several minds coming together manage to create something larger than the sum of its parts, and also the possible tensions that might drive people apart and cause creative teams to break up. This is an interest of mine as well, and I’m very intrigued by this aspect of the novel. He added that another reason was his growing interest in women’s stories, which he can trace to writing the script for the amazing An Education (and more recently to adapting Wild by Cheryl Strayed and Brooklyn by Colm Tóibín). When he was working on An Education, he was very drawn to this story of a teenage girl whose life was circumscribed by being a girl in 1961 and by other people’s ideas of what that meant. Digging into these limitations and what it was like to live with them was stimulating in a way he hadn’t anticipated, and he got to explore that further when writing about Sophie in Funny Girl. Sophie is a former Miss Blackpool who moves to London to try to make it as a comedy actress, and who has to deal with people’s assumptions about what women can and can’t do. Needless to say, I want this book. Hornby laughed when the chair of the event asked him why he’d made the closest thing to an antagonist in Funny Girl a “stuck-up critic”: he said he feels that more and more we are moving towards an acceptance that popular culture is culture, but in the 1960s these divisions were very marked, and he wanted to write about that. TV, a medium he loves, had yet to conquer the respectability it’s edging towards now, and the question “Is This Art?” was actually given serious consideration. He also said he’s interested in the transformations in how long-form TV is regarded we’ve seen in the past decade or so: the place it occupies in our culture now both in terms of critical regard and of popular engagement is akin to that of the serialised Victorian novel. Later on, in answer to a question about whether 60s sitcoms were “better” than contemporary TV, he explained why he’s suspicious of this kind of nostalgia. As Bob Dylan put it, “Of course the past is better; there’s more of it”. We romanticise the past because what we see of it is what stood the test of time, and then we compare that carefully selected sample to a nebulously defined “now”. He’s also wary of the idea that light entertainment has been getting worse and worse. We do have exploitative reality TV now, but we used to have minstrel shows. The only thing that causes him some anxiety is the thought that the people who make certain TV shows (or any other form of entertainment) might go “Oh, they’ll watch anything” and adopt an approach where they don’t work at the limits of their creativity because they look down on “the masses” that consume what they create. But as long as creators continue to do their best possible work — work that trusts the intelligence of its audience — he doesn’t see a problem. He still is, he said, “enough of a populist” to believe that people’s entertainment choices are not a major cause for concern. Hornby also answered a question about an apparent brouhaha over some comments he made at the Cheltenham Literary Festival (I think that the fact that I managed to miss this entirely means I’m making good life choices). He explained that what outraged people was the fact that he said, not for the first time, that he believes you should put down books that feel like a chore and go read something else. Obviously this doesn’t mean he thinks people should never challenge themselves and only go for what’s “easy”, however you define that, nor that they shouldn’t bother with anything “highbrow”. The point is that reading is all about “forming connections with books” and feeling engaged and alive; because we all have limited time, we have a right to prioritize whatever it is that causes us to feel that spark of connection. He went on to argue against what Stefanie aptly called the reading-as-broccoli approach the other day: reading shouldn’t be a difficult and unpleasant task you put yourself through because it’s “good for you”. As I’ve said about a hundred times before, I agree. Again, this doesn’t mean we should give up on anything challenging — only that the challenge has to feel personally meaningful. For example, he “eats up David Kynaston’s social history with a spoon”; these are dense books, but they mean something to him. As he’s been saying in his Believer columns for years, for reading to be embraced by more people we need to accept that it’s okay for us to find whatever is meaningful for us instead of sticking to an arbitrarily defined canon of “important” works. In sum: read what makes you feel alive. I can’t think of better parting words. Terrible phone photo again. Sorry! 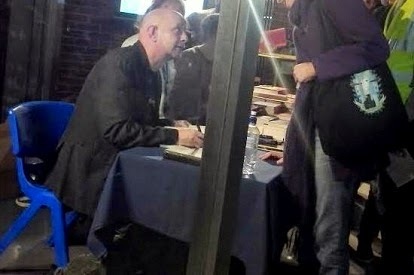 When my turn to have my book signed came, I thanked Nick Hornby for all the great books he’s introduced me to over the years (he was, after all, the reason why I read What Good are the Arts? and Let’s Talk About Love, just to name two examples). He laughed and said he suspects that’s where his true talent lies: he’s a book recommender first. I explained I also love his fiction, which I do, but his Believer columns have given me so much. May they long continue. Next name to cross off the aforementioned mental list: SARAH WATERS! I shall report back. ...and I'm with Nick, you and Stefanie (whose post I read earlier this week and loved) on not finishing books. I like that: Read what makes you alive. I met an author last week too and it didn't go quite so well... I still need to sort out my thoughts and write it up. As for his approach to reading, it's taken me a while, but I'm slowly coming round to it. I used to see especially what's considered "classics" as something I'd need to push through so I had made the effort and could think about them. But increasingly my impression is that life is too short to read books one doesn't enjoy! I'll still try to make an effort, but I no longer force myself to finish books if I can't get a handle on them. Lucky you! Hornby is on my list too. I too have found many recommendations through his Believer columns, and I adore his novels (and screenplays). I'm totally with him and you on enjoying reading. I love that you have a list of authors you want to meet! I love Hornby's writing about books and always thought he seemed like an interesting person. You have confirmed that! How lucky you got to see him and meet him! Bryan: It's such a good way to put it, isn't it? Bettina: One thing I also find helpful is to remember that we change, our circumstances change, and what works and doesn't work for us is not static. For example, I was in my late teens when I first tried to read Virginia Woolf's novels and they just didn't work for me. A few years later I tried again, and because I had more context and my English was better and a bunch of other little things were different, I completely loved them. And I'm glad I put Mrs Dalloway down the first time around, because if I had forced myself through it and had an unpleasant experience, I might not have been willing to put the effort into To The Lighthouse - a novel that demands concentration but gives so much back. So yeah, there's nothing wrong with effort, but we get to pick when and where we're willing to make it. Annabel: He's so great - I can't wait to read his new novel. Stefanie: I feel lucky that I live in a good town for author events! "book recommender" is a great job title. When someone asks me what I "do" I may start using it. I know I've said it before, but I so love that I get to meet these authors vicariously through you. Nick Hornby is one author that I've read almost everything he's written. I love High Fidelity and love his nonfiction books about what he's reading. He's such a fantastic, honest writer.